Dr. Leslie Fuller is a 2009 graduate of NCNM (now NUNM). Following graduation she completed a two-year residency program, where she focused on the medical management of many chronic healthcare issues, including diabetes, hypertension, asthma, allergies, hormonal imbalance and digestive problems. She has been actively involved in the health and wellness arena, with a focus on sports medicine, neurologic disability, and IV therapy for well over a decade. During this time she has focused on working with individuals with spinal cord injury, cerebral palsy and stroke, as well as helping able-bodied individuals become the best athletes possible. She continues to lecture at NUNM on the topics of neurology, pain management, and IV therapy. Dr. Fuller’s time in the clinic remains focused on using IV therapy as a primary modality. She remains connected to and invested in several nonprofit disability groups throughout Oregon, and is excited by the potential impact that naturopathic medicine will have on the field of neurological rehabilitation. With a strong background in sports medicine, Dr. Fuller has remained rooted in the current research and advisory for athletic enhancement, weight loss and health maintenance, and encourages her patients to explore exercise and fitness at whatever level possible. 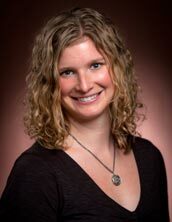 In her spare time Dr. Fuller enjoys doing all things outdoors with her family: hiking, camping, rafting and relaxing.